The second biggest municipality in the island of Ibiza, Santa Eulària des Riu, has a lot of options that attract the tourist year after year, from beaches of all kinds to original flea markets. Santa Eulària des Riu, which in English means Santa Eulària of the river, receives its name for the river located there and to honor Santa Eulària, a catalan Saint. This river is the only one in the whole island and, although it is dry nowadays, it was very important in the past because it made the land fertile. This amazing town located in the south-east of the island, is crowned by the Puig de Missa peak, where there is a church-fortress. You can already appreciate this fortress when you are on your way from Eivissa to Santa Eulària. Located on the top of a hill 52 meters high, this church was built in 1562 and it is a must see monument if you are in Santa Eulària. The Puig de Missa peak was declared National Scenic Site in 1952 and afterwards it received the appointment of Asset of National Interest. You will be delighted by the amazing views on the top of it, and you can also take a nice walk on its surroundings and visit the cemetery located next to it. In this area, next to the church, you can find the Barrau Museum (Casa-Museo Barrau in Spanish), dedicated to the Catalan impressionist painter Laureà Barrau. In this museum you can find a wide collection of its paintings, that stands out for its colours and that captures the landscape, streets, market and people of Ibiza. 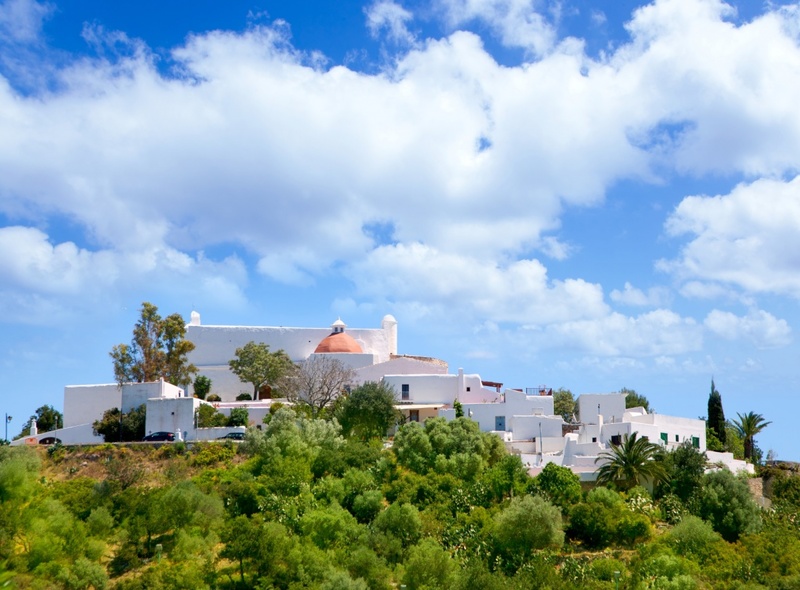 In this peak we can also find the Ethnography Museum of Ibiza, a typical rural house where there is a wide collection of traditional things: dresses, jewellery and musical instruments, among others. By visiting this museum, you will discover the traditional and rural lifestyle of Ibiza. If you are a golf lover, then Santa Eulària is your place. This town is the only one in Ibiza where you can find a golf course. In this area you can also practice several sports and activities. On the other hand, you can find a great coastline full of nice beaches and coves. One of the best coves you find there are Es Figueral, Cala Boix, Cala Llenya, Cala Nova and Cala Llonga, among others. Santa Eulària is the place to go if you want to appreciate the traditional and rural life of Ibiza and you if are looking for something more relaxed. Find information about selected Hotels, apartments and rooms in Santa Eulària des Riu to choose the perfect place for your accommodation.